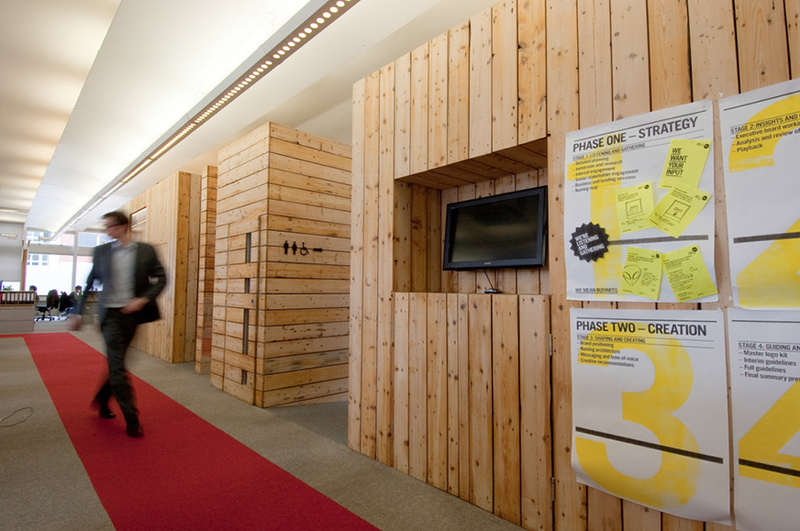 A robust and raw refurbishment of the Design Council's offices gives the organisation a fresh purpose. 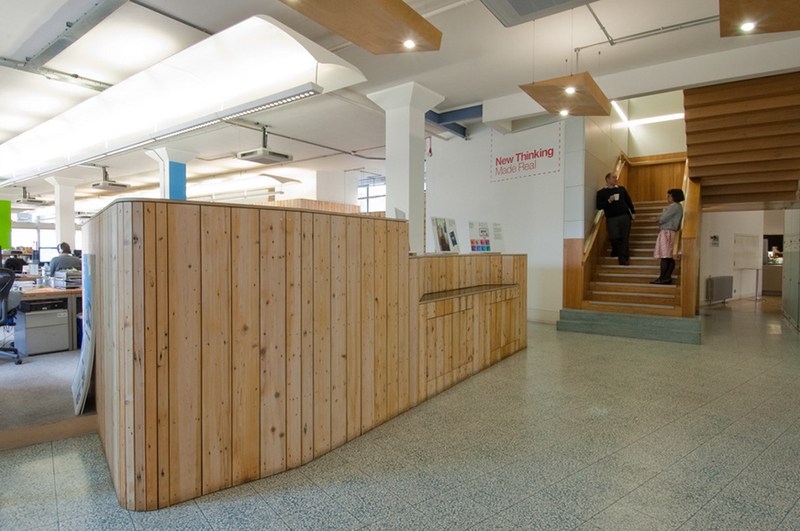 Through reorganisation and large-scale physical interventions, the organisation is accommodated within a smaller area whilst providing a broad offer of new spaces facilitating their diverse practices. 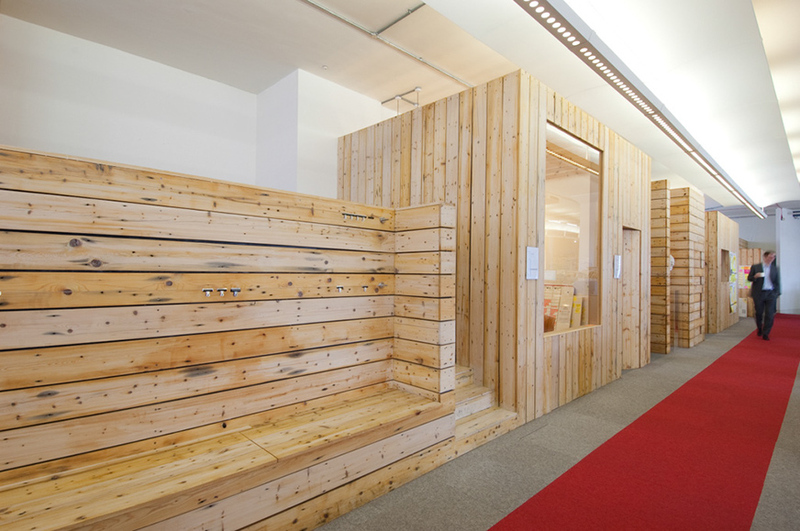 Research undertaken by our designer, embedded in the office, informed the delivery of this bespoke project. 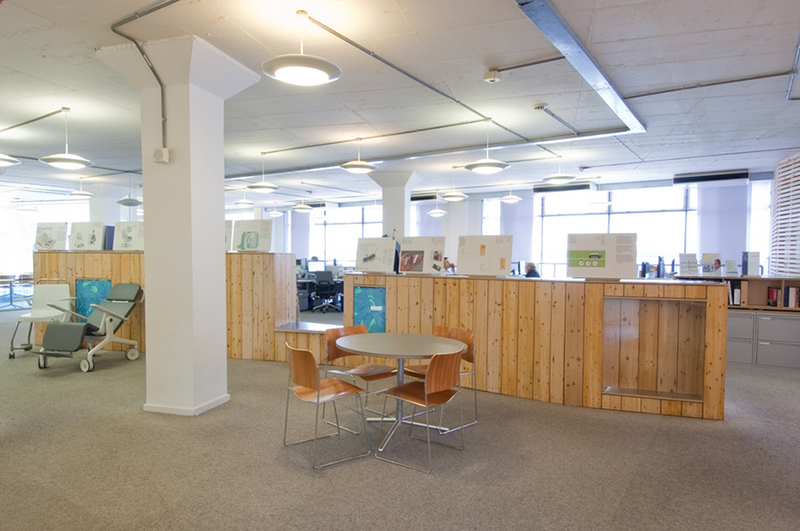 Spaces were developed to facilitate collaboration, concentration and contemplation. 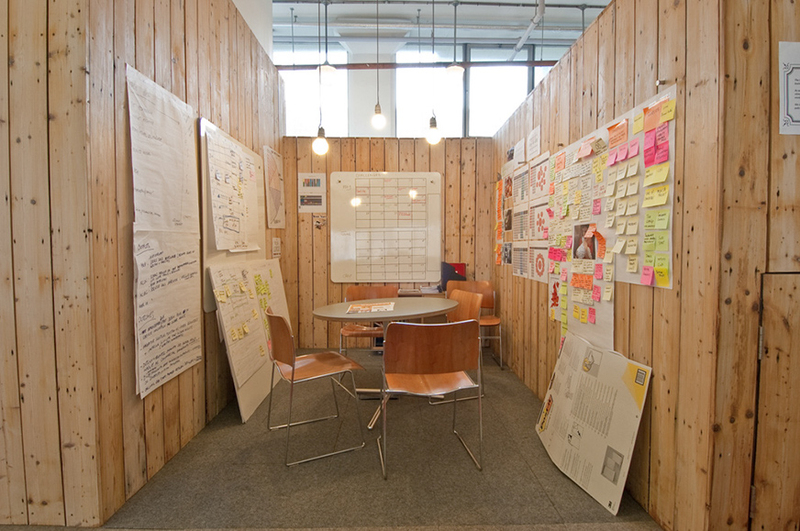 The train includes informal meeting spaces, lambs wool clad phone booths providing privacy, and an elevated lectern. 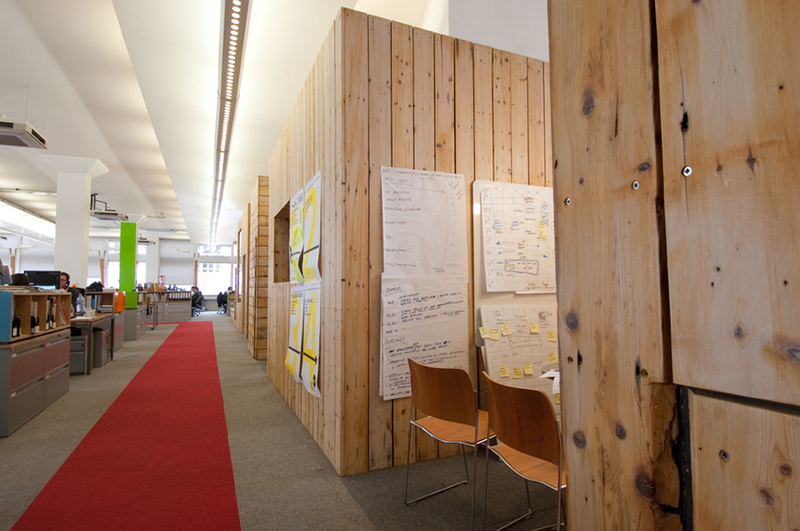 The hedges replace previous barriers which separated teams and were too enclosing. 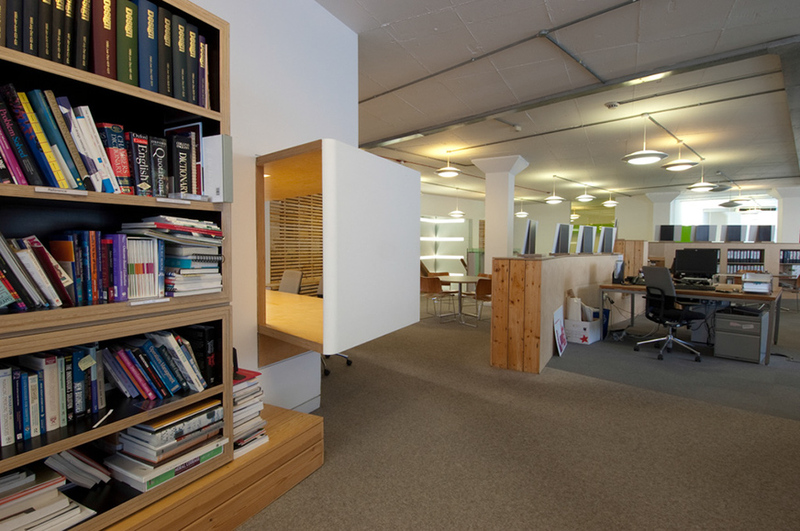 The new elements define the edge of the work space, providing shelter. 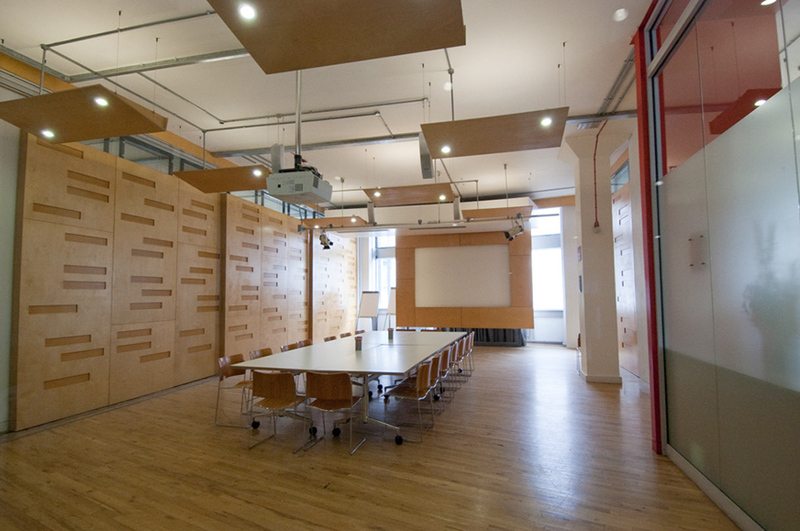 The space accommodates meeting tables, work spaces and displays. 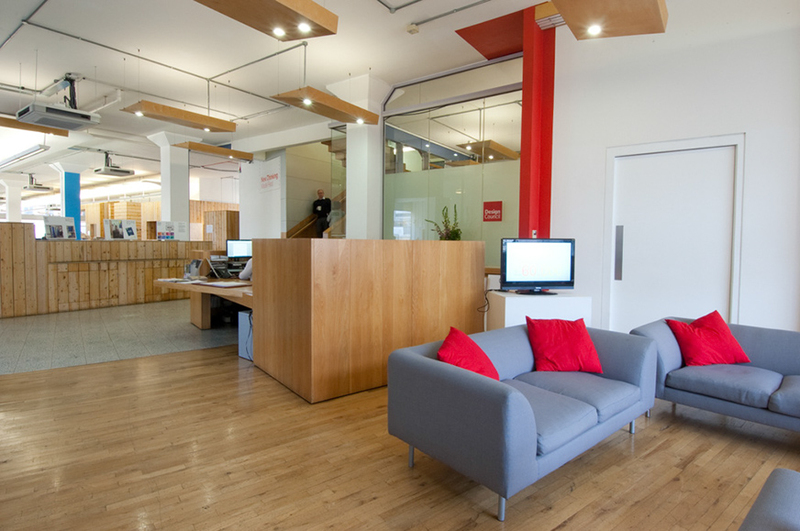 The material choices embody the Design Council's ethos and deliver a sustainable and low maintenance solution within a tight budget and programme. 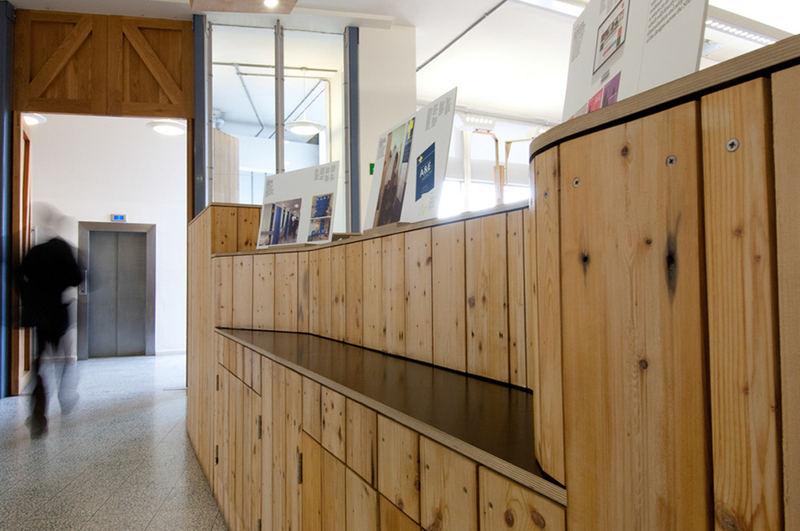 Finishes such as lambswool insulation and reclaimed floor boards are used to narrate tours of the council, allowing the value of design to be clearly explained in relation to sustainability, reuse and sourcing. 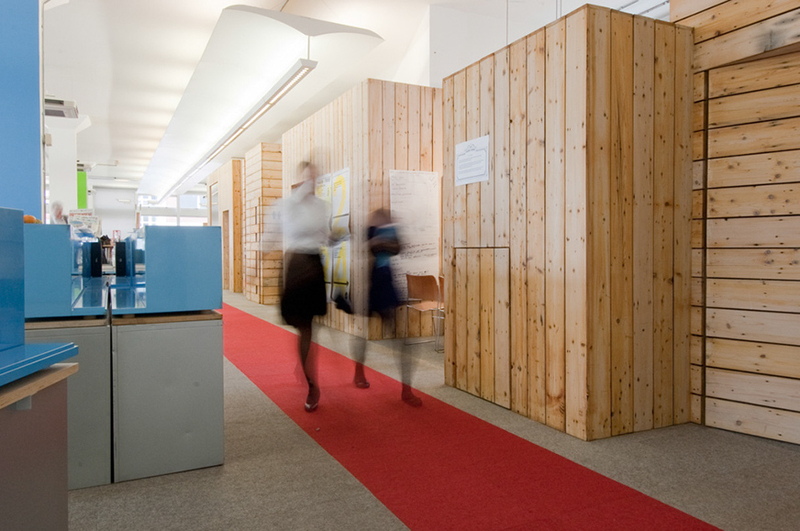 The 2000 sqm commission was delivered in collaboration with Carl Turner Architects on a design-and-build contract with 6 weeks design time and 7 weeks build time. 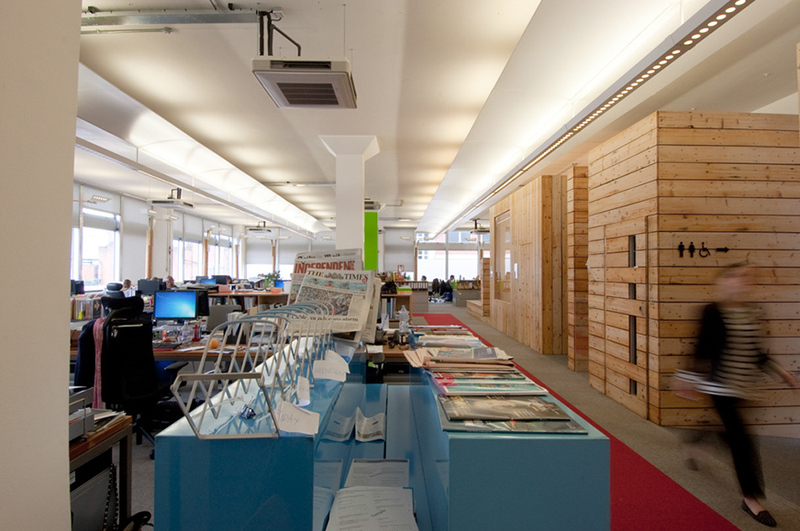 The build was carried out from 7pm to 7am every day for 7 weeks, to minimise disruption to the working office.